Those aspiring to teach elementary school in the state of Pennsylvania must pass a series of tests in order to be accepted as teacher. This is called the Praxis II PA Grades 4-8 Core Assessment exam and it involves three main tests that assess whether or not the test taker has the skills and knowledge to teach grades 4-8. 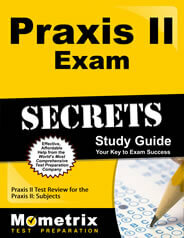 The Praxis II PA Grades 4-8 Core Assessment test consists of 210 questions. You will be given three hours and 30 minutes to complete the test, which consists of three equal parts. The first part is pedagogy, the second is English language arts and social studies, and the third and final part is math and science. The Praxis II PA Grades 4-8 Core Assessment test encompasses a wide range of content over five grade levels. Do you have what it takes to pass the exam? 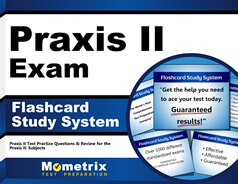 Find out by taking the free Praxis II PA Grades 4-8 Core Assessment (5152) practice test. The Mometrix Test Prep Team is offering this test to allow you to gauge how well you know the content. There is always room for improvement. Analyze your results and see where your faults lie. Use the practice test in conjunction with the accompanying study guide and watch your score skyrocket.